Hey there all you TAYers, Ani-TAYers, and everyone else who has stumbled across this post. 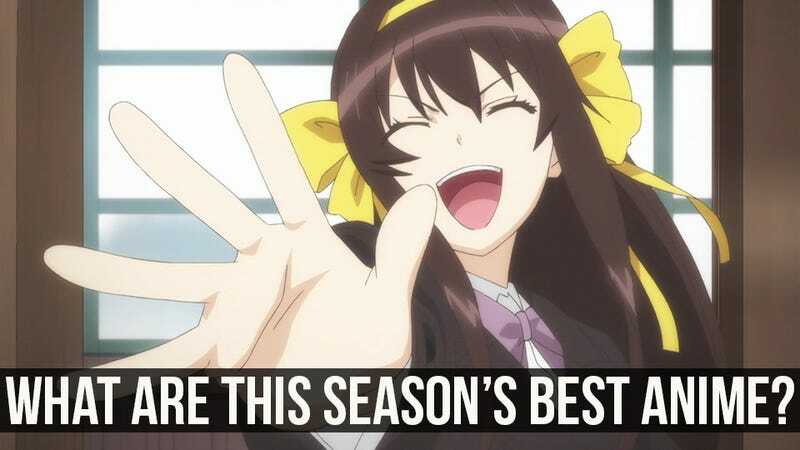 It’s once again time for you all to answer one burning question for me: What are the best anime of spring 2015? Like in seasons past, I will be posting an anime guide detailing the must-watch new anime of this, the spring 2015 anime season, on Kotaku next week. But as I am only one man, I am here to ask for help. I’m watching a ton of anime myself—as is fellow Kotaku author Toshi Nakamura—but its more than possible that there are a few hidden gems in the 50 new anime this season that we have somehow missed. In the past, your votes and recommendations have clued me in to shows that were flying under my radar; so I hope you’ll help me again. One note though: This poll is only for shows that began airing this spring season—i.e., after April 1, 2015. Continuing anime have already appeared on the winter season poll. Alright! Let’s get to voting!